OXFORD, Miss. – It’s inevitable. Kids are going to be spending a lot of time playing video games this summer. Instructors from the University of Mississippi want to show them how to do this safely and perhaps even professionally through the brand new “Esports Business Workshop,” coming up June 24-28 for rising ninth-to-12th-graders. This is just one of more than 40 program options available this summer for students from kindergarten to 12th grade through the university’s Division of Outreach and Continuing Education. Families can explore all their options during a special open house, set for Tuesday (Feb. 12) at the university’s Jackson Avenue Center. Several of this year’s new programs were developed because of recommendations from past summer program participants and local students, Pfrenger said. “This year’s ‘STEAMpunk,’ ‘Mostly Medieval,’ esports and Mississippi Blues programs are ones you won’t find anywhere else, and they came about because of things we’ve heard from kids,” she said. 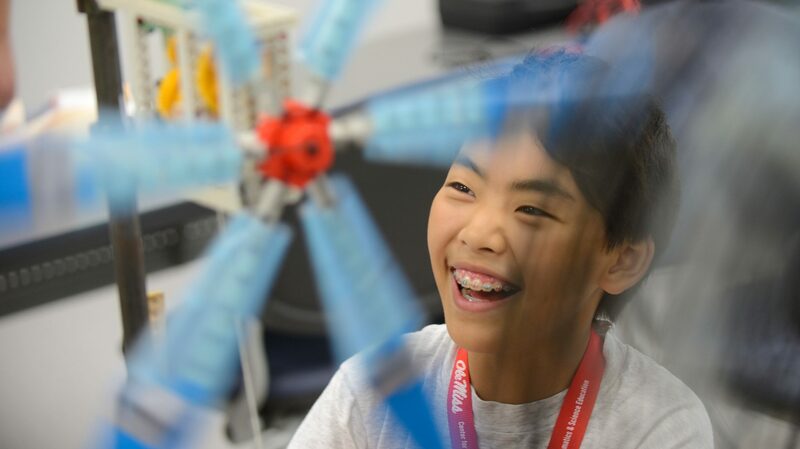 Students who like to design and build things can choose to attend one, two or all three weeks of the new “Makers and Mechanisms” program, designed for rising sixth-to-eighth-graders. Beginning the week of June 17, the first week of the program, “Sculptures and Dioramas” guides students to create sculptural scenes from movies and stories while designing characters and getting creative. “Grandpa’s Garage” week begins June 24 and allows students to dismantle household appliances to see what’s inside. The group will build simple machines and more in this project-based workshop. The third week of the program, “Chain Reaction,” will explore causes and effects in this science-and-engineering-themed week. Students interested in Victorian mechanical innovation, exploring the natural world, and experiencing the literature and history of the period can join Ole Miss faculty June 24-28 for the all-new program “STEAMPunk: The Human/Machine Equation,” for rising ninth-to-12th-graders. “STEAM” refers to science, technology, engineering, art and mathematics. Scotty Jimenz, a teacher at Lafayette High School, will lead the all-new “Mostly Medieval” program June 3-7 for rising sixth-to-eighth-graders. “Students who want to shoot a catapult, try LARPing (live-action role playing) in the Grove and see what it was like to be a knight in King Arthur’s round table, this camp is for you,” Jimenz said.